Kevin Thoms (born July 4, 1979) is an American television/film actor and voice actor, perhaps best known for providing the voice for Lance in Cartoon Network's Sym-Bionic Titan . Prior to this role, he has been cast in many films and television series including Riding In Cars With Boys , Ed , Law and Order: Special Victims Unit , as either main roles or minor roles. He has also had a few other voice roles in Star Wars: The Clone Wars , Fusion Fall (as Lance), Aion , and other video game and animated series. Cartoon Network is an American pay television channel owned by Warner Bros., a subsidiary of AT&T's WarnerMedia. Kevin David Sorbo is an American actor. He is best known for his starring roles in two television series: as Hercules in Hercules: The Legendary Journeys, and as Captain Dylan Hunt in Andromeda. 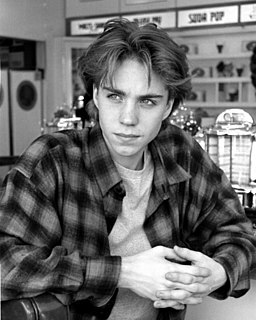 Jonathan Gregory Brandis was an American actor. Beginning his career as a child model, Brandis moved on to acting in commercials and subsequently won television and film roles. Brandis made his acting debut in 1982 as Kevin Buchanan on the ABC soap opera One Life to Live. In 1990, he portrayed the main protagonist Bill Denbrough in Stephen King's supernatural horror miniseries It. In 1990, he starred as Bastian Bux in The NeverEnding Story II: The Next Chapter. In 1993, at the age of 17, he was cast in the role of Lucas Wolenczak, a teen prodigy on the NBC series seaQuest DSV. The character was popular among teenage female viewers, and Brandis regularly appeared in teen magazines. Alan Wray Tudyk is an American actor and voice actor known for his roles as Hoban "Wash" Washburne in the space western series Firefly and the film Serenity and Tucker McGee in Tucker & Dale vs. Evil. He has also appeared in the films DodgeBall: A True Underdog Story; I, Robot; A Knight's Tale; 42; Maze Runner: The Scorch Trials and Rogue One. He has voiced characters in every Walt Disney Animation Studios feature film since Wreck-It Ralph in 2012. Lance James Henriksen is an American actor, voice actor and artist, best known for his roles in science fiction, action, and horror films such as Bishop in the Alien film franchise, and Frank Black in Fox television series Millennium. Henriksen is also a voice actor who has voiced Kerchak the gorilla in the 1999 Walt Disney Feature Animation film Tarzan and Fleet Admiral Steven Hackett in BioWare's Mass Effect video game trilogy. Kevin Conroy is an American actor and voice actor. He is best known for his voice role as the DC Comics character Batman on the 1990s Warner Bros. television show Batman: The Animated Series, as well as various other TV series and feature films in the DC animated universe. Due to the popularity of his performance as Batman, Conroy went on to voice the character for multiple films under the DC Universe Animated Original Movies banner and the acclaimed Batman: Arkham video games. Clarence John Brown III is an American actor and voice actor known for his roles as the Kurgan in the fantasy film Highlander (1986), Byron Hadley in the prison drama The Shawshank Redemption (1994), Charles Zim in the sci-fi film Starship Troopers (1997) and Brother Justin Crowe in the television series Carnivàle (2003–2005). 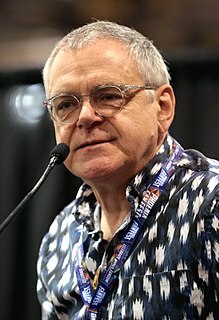 He has also provided his voice to films, television series and video games, including Mr. Krabs in SpongeBob SquarePants (1999–present), Lex Luthor in various media, Doctor Neo Cortex in the Crash Bandicoot video games (1997–2003), Surtur in Thor: Ragnarok (2017) and Lt. Hank Anderson in Detroit: Become Human (2018). 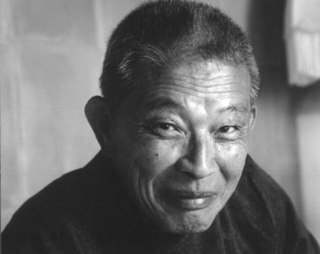 Makoto Iwamatsu was a Japanese American actor, voice artist, and singer. Almost all of his acting roles credited him as Mako. He is best known for his roles as Po-Han in The Sand Pebbles (1966), Oomiak "The Fearless One" in The Island at the Top of the World (1974), Akiro the Wizard in Conan the Barbarian (1982) and Conan the Destroyer (1984) and Kungo Tsarong in Seven Years in Tibet (1997). He was part of the original cast of Stephen Sondheim's 1976 Broadway musical Pacific Overtures, which earned him a Tony Award nomination for Best Actor in a Musical. Gregory Michael Cipes is an American actor and singer. He was a cast member in the reality television program twentyfourseven, and had recurring roles in MDs and Peacemakers. His most notable roles have been voicing in cartoons. He voices Beast Boy in Teen Titans, Kevin Levin in Ben 10, Chiro in Super Robot Monkey Team Hyperforce Go! and Michaelangelo in the 2012 edition of Teenage Mutant Ninja Turtles. Thomas Edward "Thom" Bray is an American actor and writer perhaps best known for his role as Murray "Boz" Bozinsky in the detective TV series Riptide. He made his film debut in the slasher film The Prowler (1981) and later appeared in John Carpenter's Prince of Darkness (1987), and The Horror Show (1989). His work has been primarily in television, and his final credit was in 2012 on an episode of the TNT series Leverage. Kevin Harrington is an Australian stage, television and film actor and comedian who is perhaps best known for his roles as Kevin Findlay on the Australian drama Seachange in the 1990s and as David Bishop on the soap opera Neighbours. Wallace E. Wingert is an American actor, voice actor, singer and former radio personality. His best known roles have included Jon Arbuckle in The Garfield Show, Almighty Tallest Red in Invader Zim, the Riddler in the Batman: Arkham series and Renji Abarai in Bleach. Thomas Everett Scott is an American actor. His film work includes a starring role as drummer Guy Patterson in the film That Thing You Do!, the protagonist in An American Werewolf in Paris, and notable roles in Boiler Room, One True Thing, Dead Man on Campus, The Love Letter, Because I Said So, and La La Land. Lance Reddick is an American actor and musician. He is best known for playing Cedric Daniels in The Wire and Phillip Broyles in Fringe. 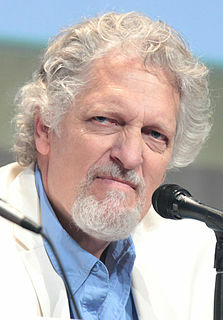 He is also known for portraying Detective Johnny Basil on Oz and Matthew Abaddon in Lost. Additionally, he provided both the voice and likeness for video game characters Martin Hatch in Quantum Break, Sylens in Horizon Zero Dawn and Commander Zavala in the Destiny franchise. William Lance LeGault, sometimes credited as W. L. LeGault, was an American film and television actor, best known as U.S. Army Colonel Roderick Decker in the 1980s American television series The A-Team. 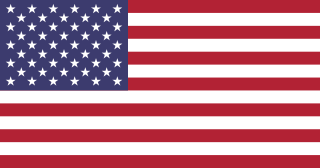 Jason O'Mara is an Irish-American actor. He has starred in the American television network dramas In Justice, Life on Mars, Terra Nova, Vegas, and Agents of S.H.I.E.L.D.. O'Mara won an Irish Film and Television Award for Best Supporting Actor in The Siege of Jadotville. Kerry Shale is a Canadian actor, voice actor, singer and writer based in London, England. Anthony George Skordi is a British voice, screen and stage actor. He is best known for his roles as Admiral Garrick Versio in Star Wars Battlefront II, and The Dealer in the Hand of Fate series of games. In addition to his voiceover work in video games, he has narrated audiobooks, and has worked on screen and stage as an actor, producer, and writer. Lance Barber is an American television actor. ↑ "Kevin Thoms - IMDb". IMDb. Retrieved 2011-09-16.